Hong Kong, April 19th, 2016 – Caterspot, Hong Kong based online catering platform in Asia raises HK$6,200,000 seed round, led by Triplestar Capital. The funds will be used to accelerate growth in Singapore and Hong Kong, key hires and speed up product development. CaterSpot is an online platform that connects companies and people with great local catering options. CaterSpot offers users the possibility to order over 1,000 catering menus online from a curated list of caterers and restaurants. Founded in January 2016, the company is headquartered in Hong Kong with offices in Singapore. CaterSpot’s team includes seasoned entrepreneurs who previously Co-founded Duriana, Grouvly and previously launched Rocket Internet’s Foodpanda venture across Latin America. Their expertise has driven the speed of CaterSpot’s execution – now operational in Singapore and Hong Kong it has already served companies ranging from startups, universities, law and consulting firms, banks and fortune 500s. Some clients include: Boston Consulting Group, UBS, PwC, Canva, P&G, Allen & Gledhill, among others. “We’re focusing on the multibillion dollar catering market, which is still largely offline. Our one-stop platform allows users to find and compare a large number of options, have transparency on menu pricing and easily order and pay online, ultimately saving companies and people a lot of hassle and time ordering food for large groups.” adds COO, Founder Amanda Ernst. Financial backers in this round consist of Triplestar Capital who led the round, with participation from Swiss Founders Fund. “With the seed funding we plan to accelerate across all fronts. We plan to invest heavily on optimizing our technology, increase the variety of caterers and restaurants, hire talent and attract more corporate customers and households to our platform” says Paredes. Caterspot is an online platform that connects companies and people with great local catering options. 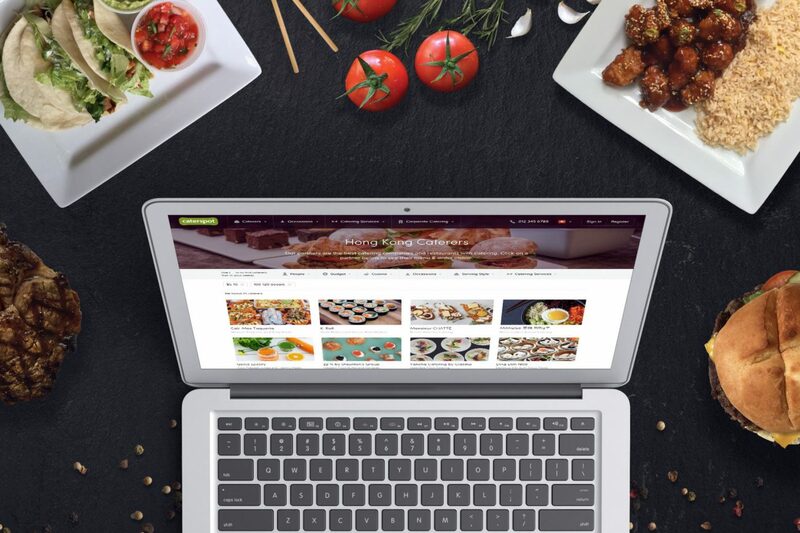 Caterspot offers users the possibility to order over 1,000 catering menus and options from a curated list of caterers and restaurants in Asia. Founded in January 2016, the company is headquartered in Hong Kong with offices in Singapore. Caterspot is currently available in Singapore and Hong Kong and plans to expand in Asia and Australasia in the foreseeable future.